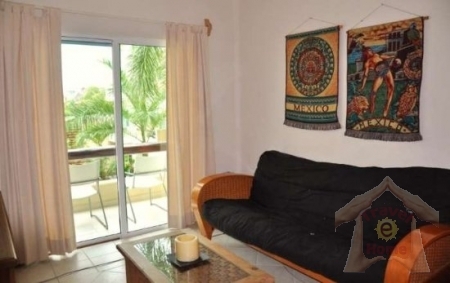 This spacious two bedroom condo sleeps four persons with a king size bed in the master bedroom and two twin size beds in the second bedroom. 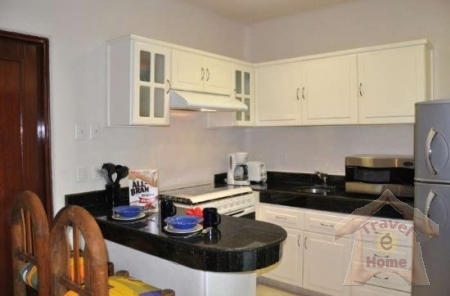 The condo has two full bathrooms and a fully stocked kitchen with a six burner gas stove from Bosch and all the necessary appliances such as refrigerator, utensils, microwave, coffeemaker, blender, toaster and drinkable water. 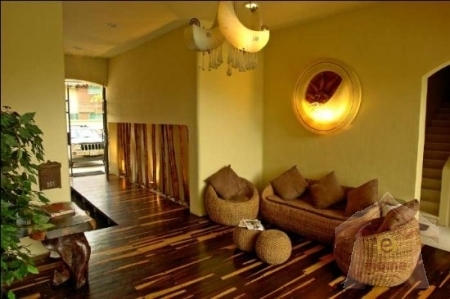 The contemporarily furnished living room is complete with a flat screen satellite TV and DVD/CD player. The dining area has a table and seating accommodating six persons. 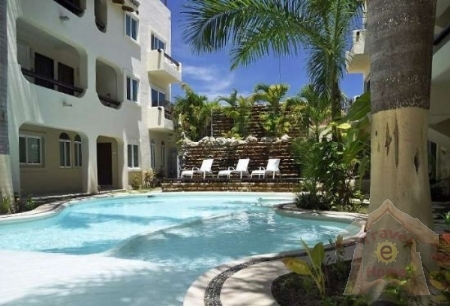 This second floor condo with two small balconies is located within Playa Kaan - a gated development with 24/7 security on site as well as a swimming pool, tropical garden area, waterfall and sun deck. Playa Kaan is located right in the heart of Playa del Carmen, only 3 ½ blocks from the beach and 1 ½ blocks from the famous 5th Avenue with all the shops, restaurants and nightlife.